How Do I Configure And Acquire Creds/Config Info For Team Server Installation On Cloudian? 1. 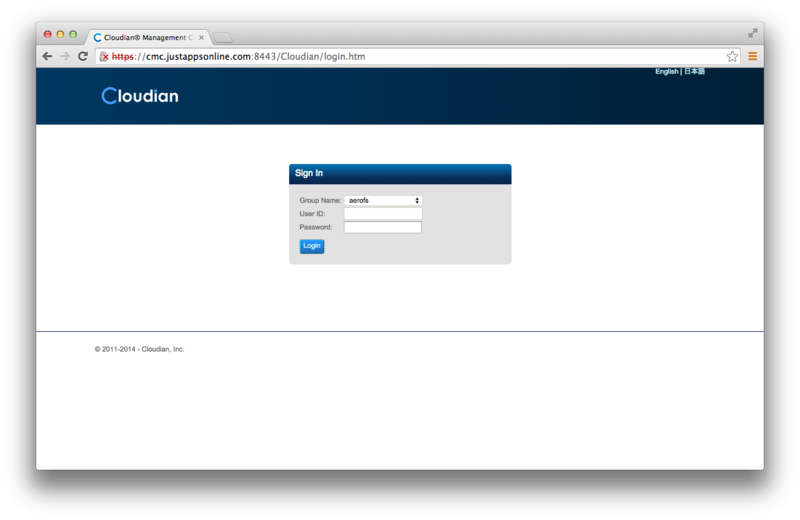 Log into your Cloudian Web interface (the URL here will vary depending on where you installed your Cloudian system). 2. Click on the Data Explorer tab, then under the 'Buckets' panel, click on New. Enter a name for your bucket, choose a region and click on Create. 6. 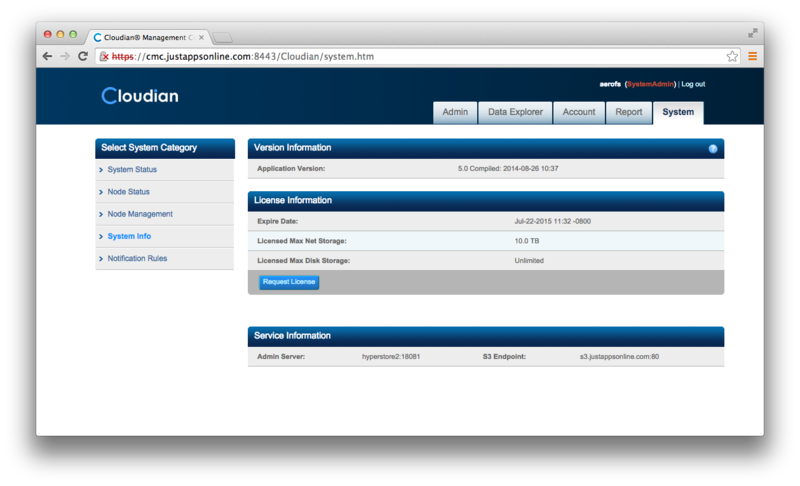 The S3 Endpoint can be obtained from your Cloudian System Administrator. 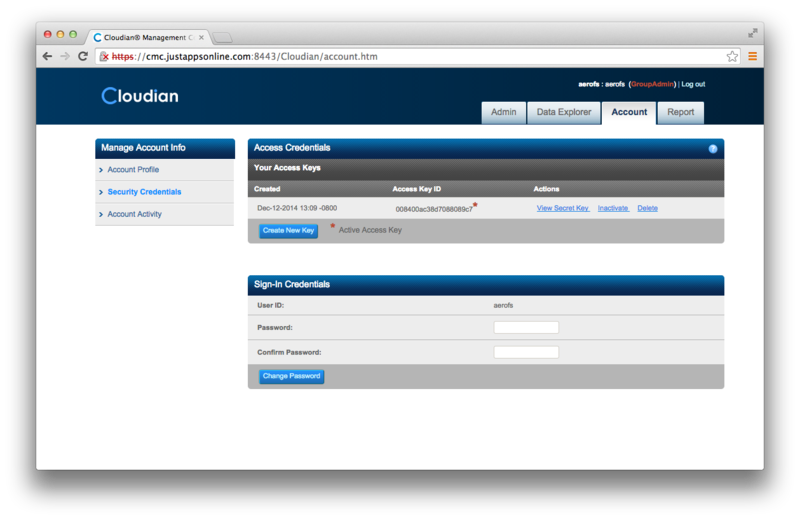 If you are an administrator, log into your Cloudian Web interface under the 'System Admin' group. Then click on the System tab > System Info and the S3 Endpoint will be displayed under the 'Service Information' section. 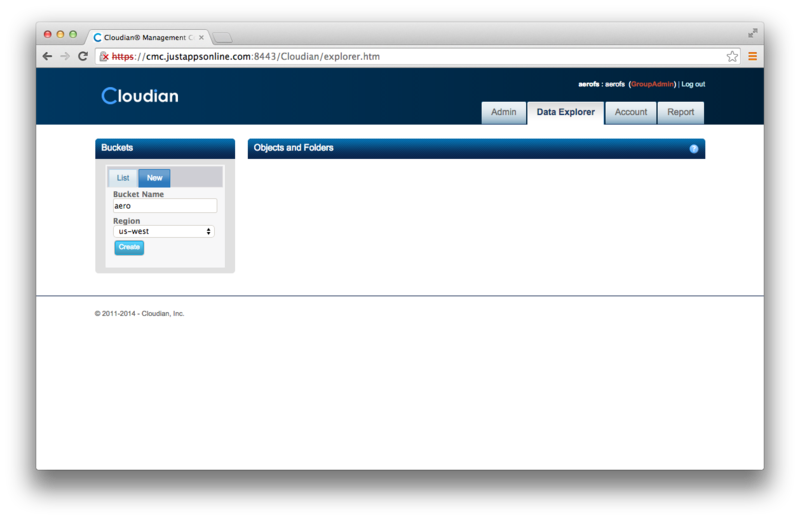 Now you are ready to set up your Team Server to use your Cloudian bucket for storage. How Do I Install The AeroFS Team Server? What should I do if the AeroFS Desktop Client doesn't start?